(AllHipHop.com) So, Jay-Z and his Roc Nation appear to be very resolute in assembling artist that will include all sorts of musical flavors. There's J. Cole, Electronica, Willow Smith, Sean Garrett and others like Rihanna that have their careers managed by the company. But, there is one veteran group that turned down the opportunity of a regular rapper's lifetime. Dead prez, the duo of M1 and Stic Man, opted not to sign with Jay-Z's Roc Nation, preferring to remain autonomous. Jay and Dead Prez worked together before and the revolutionary-but-gangsta group remains open to work with Roc Nation in the future as well. Since, Jay-Z appears to be looking for acts with substance and consciousness and dead prez isn't intested, here's an alley oop in anticipation of a conscious slam dunk in the commercial court. Like dead prez, Talib Kweli is a veteran artist with a long history of quality music. In the conscious rapper space, he is rock solid. Furthermore, Jay-Z infamously said in song, "If skills sold / Truth be told / I'd probably be / Lyrically Talib Kweli / Truthfully, I wanna rhyme like Common Sense / (But I did five Mil) / I ain't been rhyming like Common since." 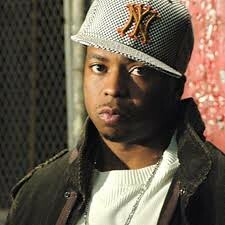 Now, he can make amends with his inner artistic conflict and help futher the already stellar career of Mr. Talib Kweli. [Shameless plug: AllHipHop and Talib Kweli are doing a show on December 26th, click here for details!]. Lastly, let it be known that Talib was instrumental in Kanye West getting a foothold in the game. The circle can be completed! Saigon has has endured industry bumps and bruises that would break another MC's spirit clean in half. But, he's still here and he's still cranking out great music of inspiration that speaks to the people. It doesn't hurt that he can destroy rappers on the battle side as well. By the way, The Greatest Story Never Told is scheduled to drop in February, 2011! Here is a way for Jay-Z to truly dispel those pesky rumors. Sign a nice Christian rapper and get him hot in these streets. 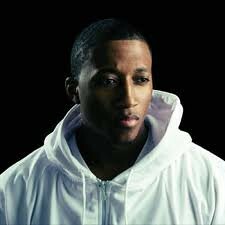 Lecrae in at the top of his field in the Christian rap game and just waiting for the opportunity to be properly positioned to the music industry. The music is there and the message is there.